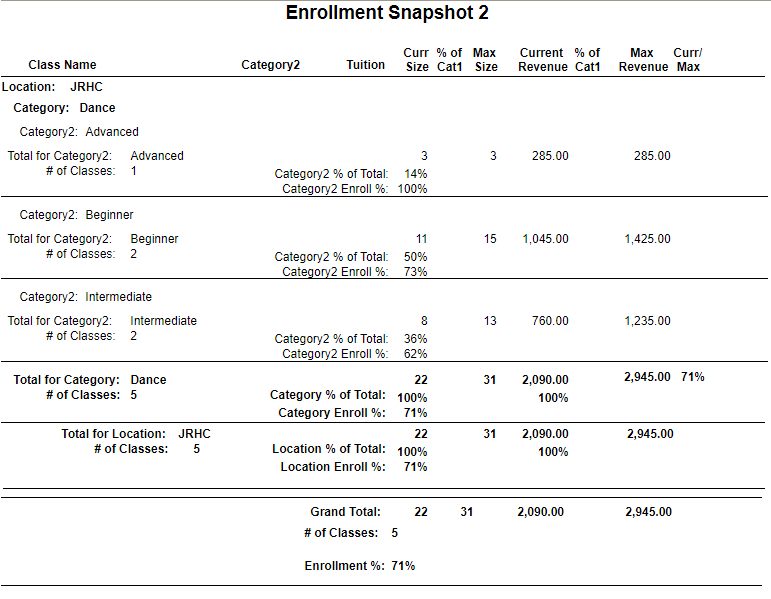 The Enrollment Snapshot 1 and 2 reports are not historical and only look at current enrollment at the time the report is generated. Each creates, in different formats, a snapshot of the current enrollment and includes current revenue (current size x tuition fee) vs. the maximum revenue (max size x tuition fee). Transfers that have taken place within the selected date range can inflate the enrollment number as it will show as enrollment on the initial class and the transferred class.